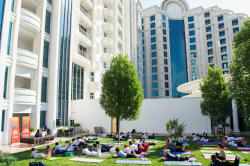 Every Saturday, throughout the summer season, under the direction of Pullman SPA director - Ram Chatterjee, yoga classes will be held on the green lawn of Pullman Baku terrace. 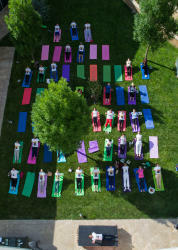 One and half hour classes include yoga exercises, meditation, breathing techniques, as well as a healthy breakfast. Become more healthy, flexible and happy! Every Saturday, from 7.30am to 9.00am.